If you or a loved one has been injured in a construction accident, Iler & Iler, LLP can help to secure the compensation that you are entitled to if the accident was caused by a third-party (someone other than your employer or co-employee). When a person is injured on the job, Worker’s Compensation Insurance covers medical expenses and temporary disability benefits but does not provide compensation for pain and suffering; future earnings capacity loss; vocational rehabilitation and 100% of an employee’s past wage loss. These additional benefits can be obtained if the accident was caused by the negligent act of a third-party (someone other than your employer or co-employee). 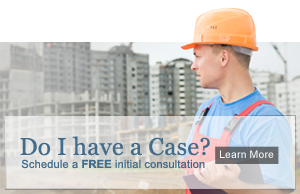 If you or a loved one has been involved in a construction accident it is important to consult with an attorney promptly. At Iler & Iler, LLP our attorney’s will investigate your claim and preserve the evidence that will be needed to prove your claim to a jury or a liability insurance company.